Soft reset can resolve issues like continuous resetting/rebooting, device crashing, freezing, won't ring or vibrate, can't make or receive calls, device locks up, and keypad doesn't respond. A soft reset (turning the device off then back on) is similar to restarting a desktop computer and is one of the first steps in troubleshooting a device. A soft reset won't affect data on the device. 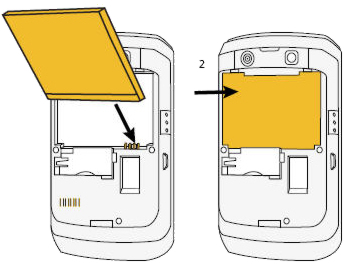 Using the notch, lift then remove the battery cover. 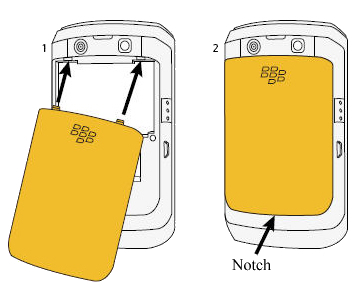 Insert/remove the battery as shown. Ensure that connectors on the battery align with the connectors on the device. 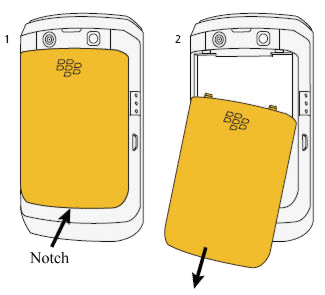 Press in on the battery cover (where the notch is located) until it clicks into place.